This week VMware has published a new version of its Virtual SAN Beta. There are a lot of features that does not necessary need a real physical lab. To get into the initial setup, scale out and failover functionality and the various command line options, a virtual lab is definitely a reasonable option. As you might know, a SSD is required for vSAN. Instead of emulating an SSD, I am going to use a real SSD with the new SSD Passthrough feature in VMware Workstation 10. 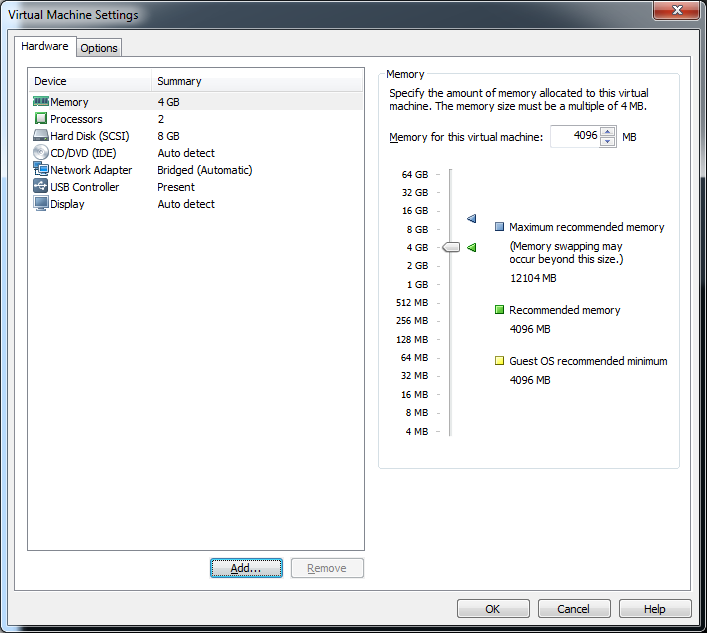 Set the capacity to 8GB and select Store virtual disk as a single file. 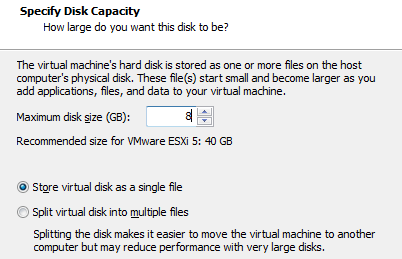 Set the capacity to 100GB and select Store virtual disk as a single file. Specify the Disk location. This will be the vSAN Disk. Do not change the location, just click Finish. 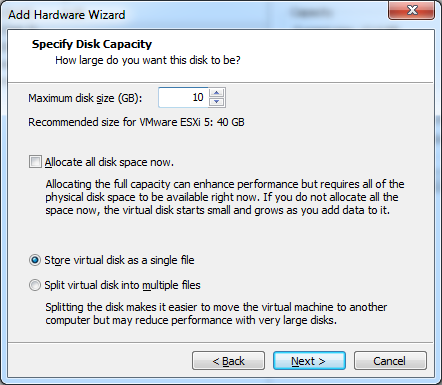 Set the capacity to 10GB and select Store virtual disk as a single file. When you have a DHCP Server, the the vCenter Server Appliance boots up. If you do not have a DHCP Server, you have to specify the IP address. 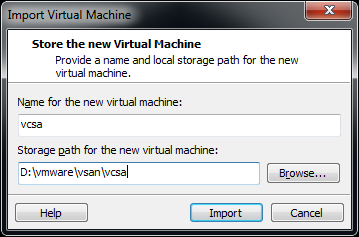 The virtual appliance does now configure itself. This may take a while. 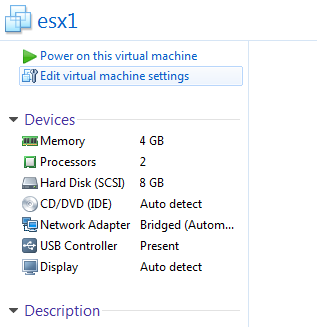 Add the 3 ESXi to the vCenter Server at Datacenter level. Do not add them to a cluster yet. 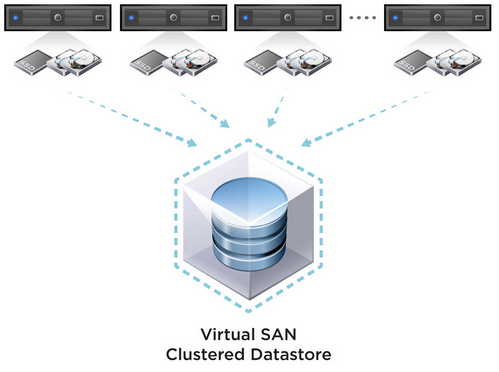 The virtual SAN Configuration is finished. You can now start to deploy virtual machines. 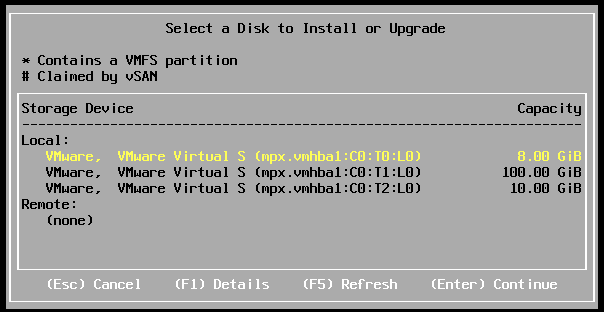 Install VMware Tools on each ESXi Host for better manageability. VMware Workstation 10 Released - What's New? I follow your article to try to build a VSAN LAB but I am encounter failure in Non-SSD point. My lab environment is win7 with VMware WS11 on intel i5 CPU / 32GB RAM / 512GB SSD PC. I found my disks is all SSD type, so my problem is how to create a non-ssd disk due to VMware workstation's passthrough feature? Sir, if you know how to fix, please let me know. Thanks for sharing this best knowledge. 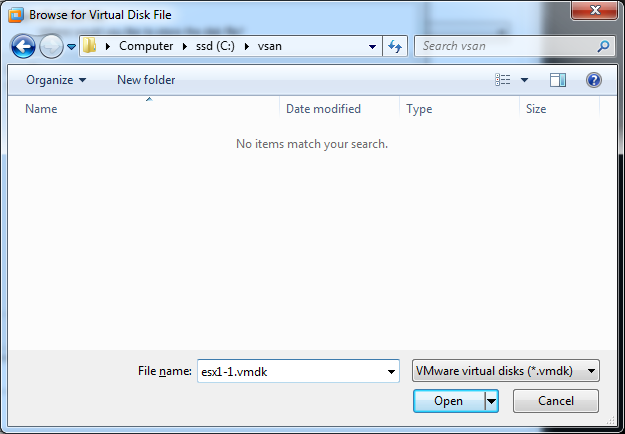 You can manually set the Virtual Disk Type in the .vmx configuration file. The feature was introduced to mark disks as SSD, but it also works the other way around.